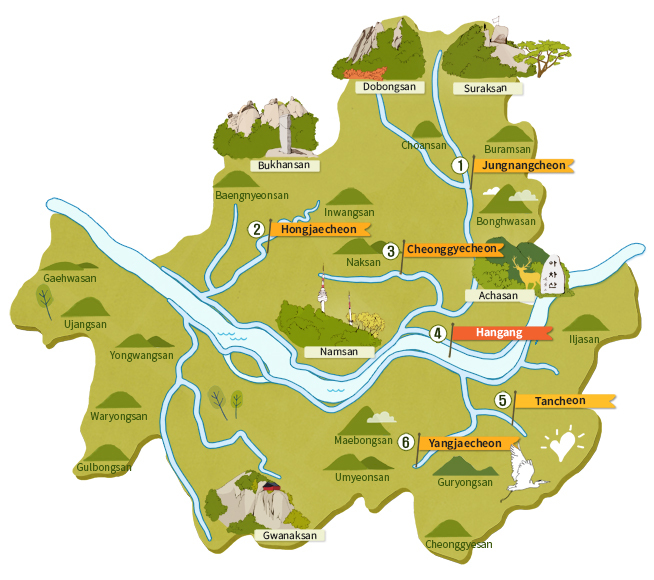 Jungnangcheon (Stream), which begins at Yangju-si, Gyeonggi-do, is the Hangang (River)’s greatest tributary. 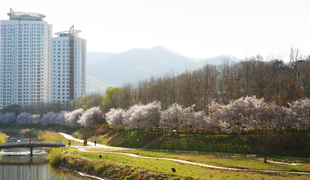 It joins with Cheonggyecheon (Stream) and meanders across Geumho-dong, Seongdong-gu until it flows into the Hangang (River) at Bridge of Gangbyeonbuk-ro in Seongsu-dong 1-ga. 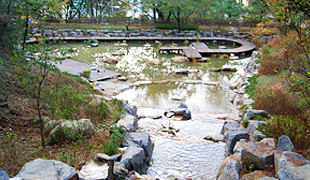 The stream is 45.3 kilometers in length, making it the longest stream in all of Seoul. There are fields of canola flowers, reeds, and silver grass along its banks. The nearby inline skating rink is a favorite among the locals. 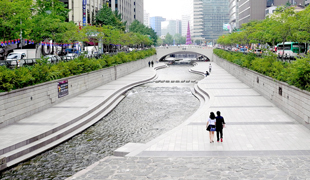 Cheonggyecheon (Stream) has always been inseparable from Seoul and has continued to evolve along with the Hangang (River) ever since the foundation of the Joseon Dynasty. With the Cheonggyecheon restoration project in 2003, the conversion of the dirty water and sewage tracts of the past, wash away those soulless images of downtown, as well as offering a touch of nature and an eco-friendly warmth. 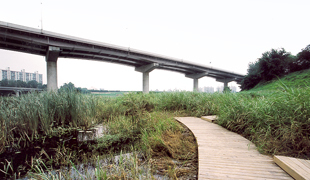 Twenty-two bridges along the stream were newly built over a length of 5.84 kilometers. Recently, various cultural facilities were added to its banks, with greater focus on artistic and ecological activities. Now, the stream is at the center of Seoul citizens’ cultural activities. 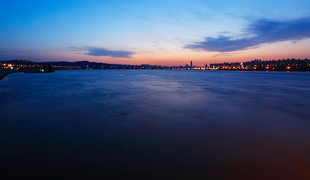 The Hangang (River) is a wide body of water that cuts across Seoul from east to west. 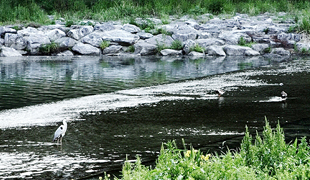 Seoul’s development has always depended on this great river, which is now a national center of watersports. Lovers of water-based activities can try jet skiing, wind surfing, and yachting, or just splash around in one of the outdoor swimming pools in the summer. There are many other sports facilities along the Hangang Park including soccer and baseball pitches, and tennis and basketball courts, and a rock climbing wall, all of which attract numerous sports clubs and associations at weekends.